I had lofty goals for the many Halloween themed blog ideas that I’ve got swimming around in my head! SO many of them didn’t make the cut. I can’t leave this one out, though! It was too awesome, too easy and too accessible NOT to share! So, I’m sorry it’s late but, hey… You can pin it and make it next year! Or, if you’re like me, you can keep this up all year long! 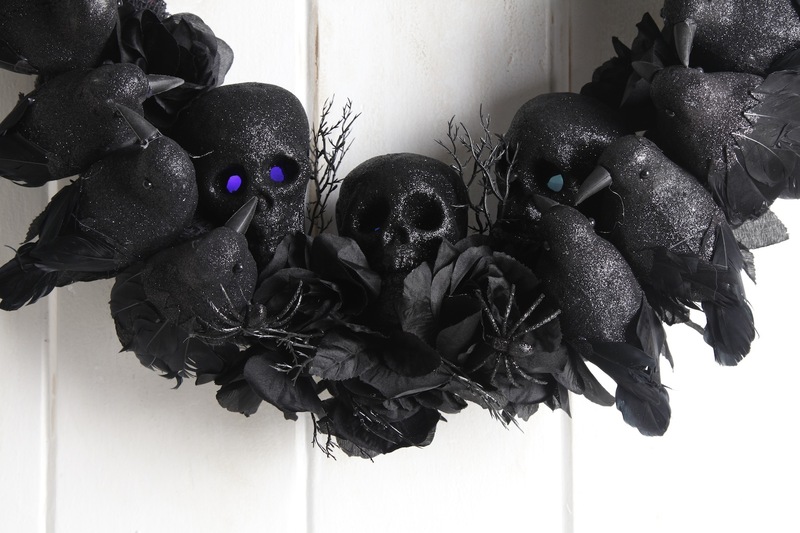 Because, who DOESN”T like crows and skulls? Am I right? 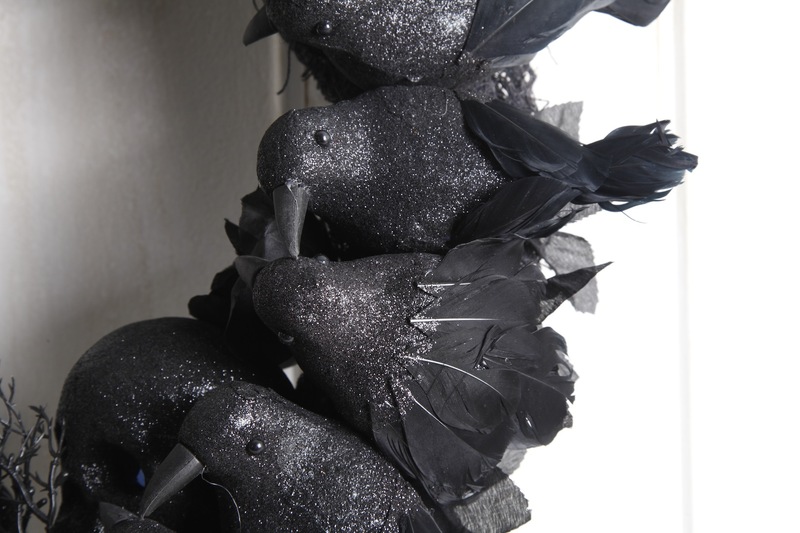 20 crows or black birds. I got mine at the dollar store. They are also available at craft stores and floral supply houses. 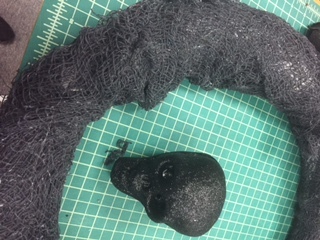 3 styrofoam skulls. Also from the dollar store. Maybe you want colored skulls, be creative and do YOUR thing. 8-10 black roses. Or colored! Again, it’s for your own style of decor. 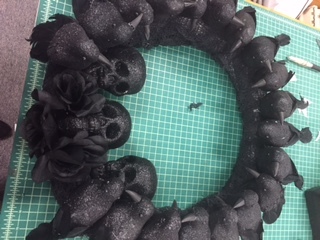 Black paint or fabric to cover the wreath form. 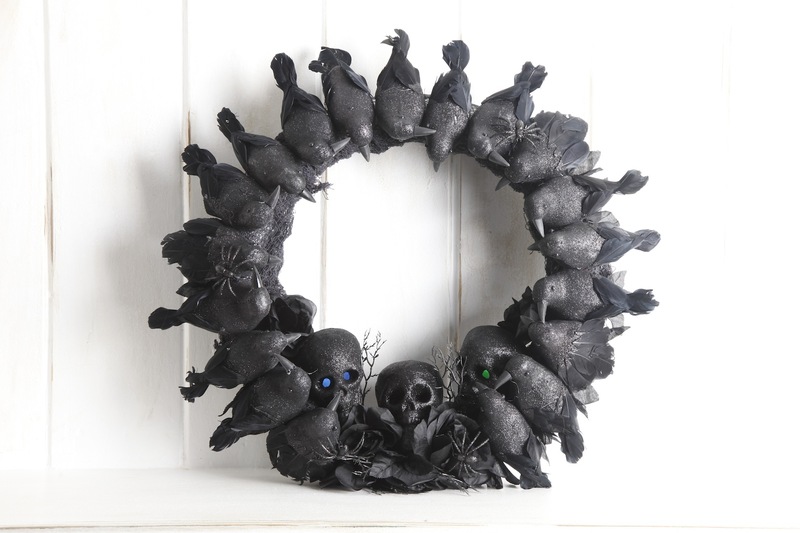 Gather your items and begin by either painting the wreath form or coving it with fabric using hot glue. 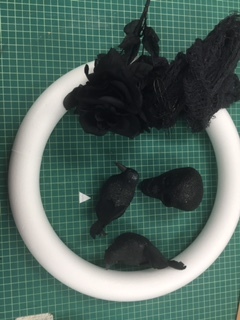 Once covered, loosely arrange the items around the wreath in the places you would like them to eventually go. Doing this will help you plan it out before you begin gluing. Once laid out, start gluing everything in place. Be generous with the glue. The end result is a stunner for less than $30! I hope you will pin this and save it for next year if I’m too late for you this year! Swearing Mom out.